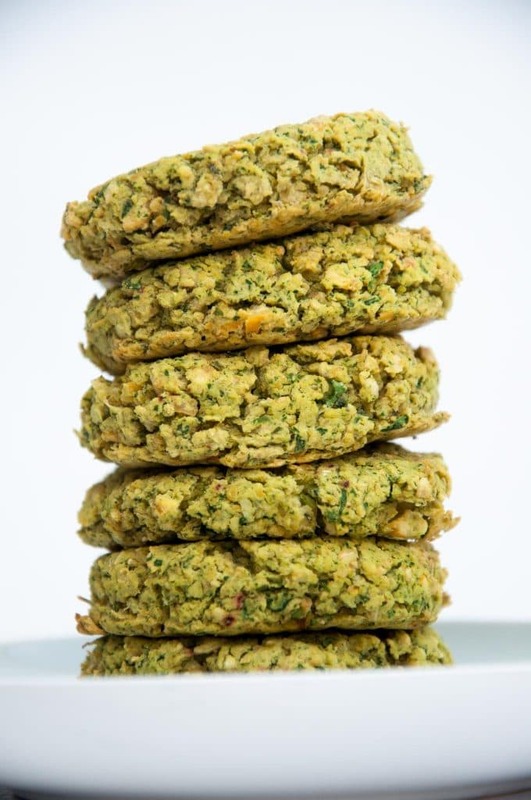 These green Spinach Falafel are vegan and gluten-free. Canned chickpeas are used for the base. They’re baked in the oven with minimal oil. So good! Falafel are one of my favorite things to eat. Without doubt. Over the last couple of years, I’ve made a Falafel Curry (great for falafel that tend to be on the dry side! ), Falafel Burger, Falafel with collard greens, oil-free Falafel and of course my base recipe for falafel using dried chickpeas (it’s still one of my most popular recipes on the blog). 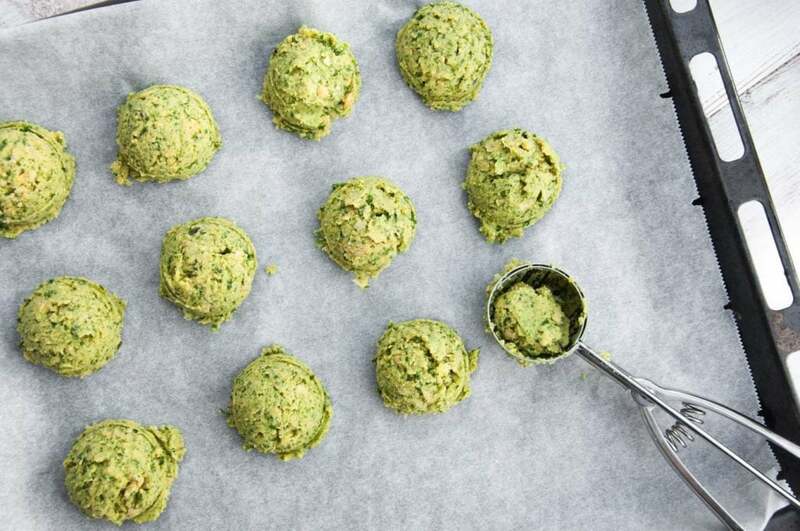 This is a very simple and easy recipe for green falafel – they get their color from the spinach. If you use an ice cream scoop, it’s really easy to make falafel that have the same size and bake evenly. Press the falafel flatter to make the typical falafel patties. This is how they should look like before and after baking! 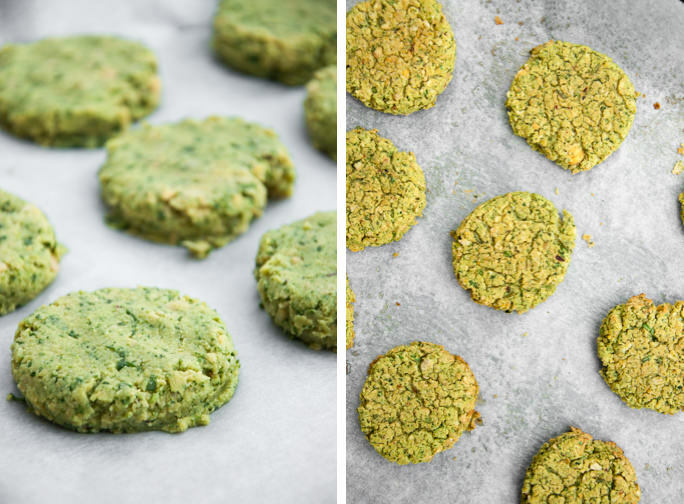 These green Spinach Falafel are vegan and gluten-free. Canned chickpeas are used for the base. They're baked in the oven with minimal oil. So good! 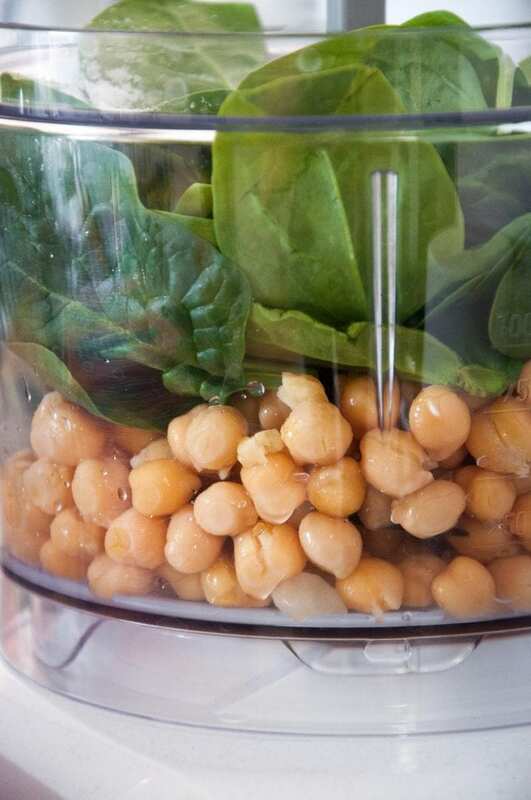 Add the canned chickpeas, spinach, chickpea flour and salt to a food processor and blitz until combined. The mixture should stick together enough to form patties, if it doesn't add more chickpea flour. 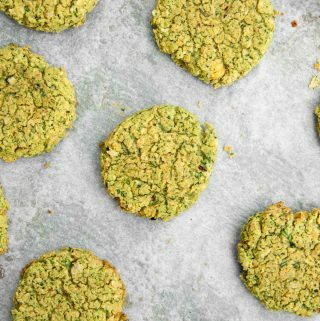 Use an ice cream scoop to scoop the falafel on a baking tray lined with parchment paper. Press them a bit flatter and spray them with oil. Bake them in the oven for about 30 minutes, carefully flipping them with a spatula after 20 minutes. They should be crispy on the outside and soft but not mushy on the inside. Freeze before or after cooking? I’d rather bake them, then freeze, but the other way round is possible too.